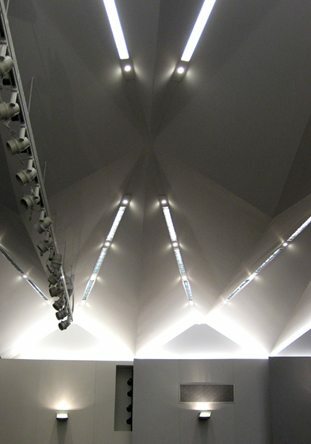 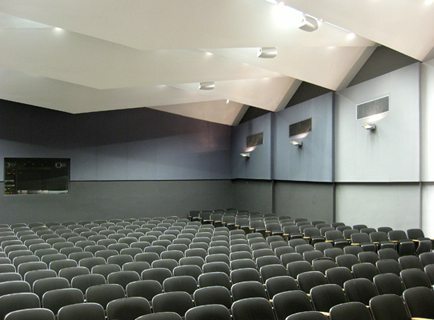 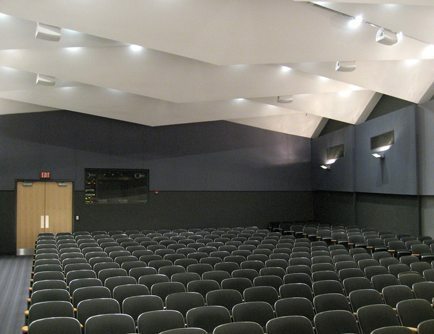 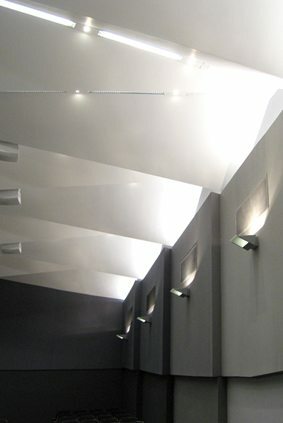 300 seats; included the incorporation of a diverse format A/V system. 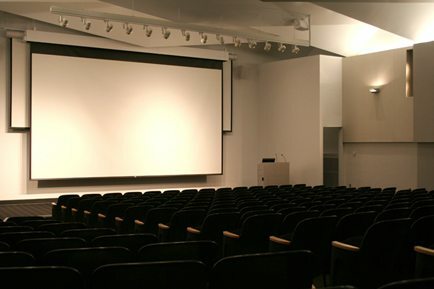 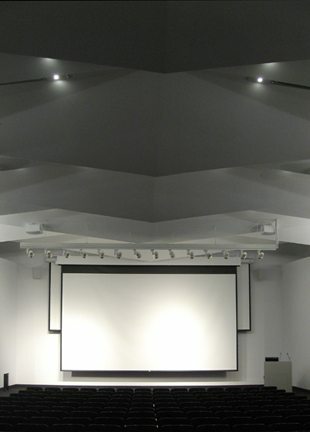 This A/V system incorporated 3 projectors, one high definition, and three projection screens – two twelve foot screens and one twenty seven foot screen for the high definition projector. 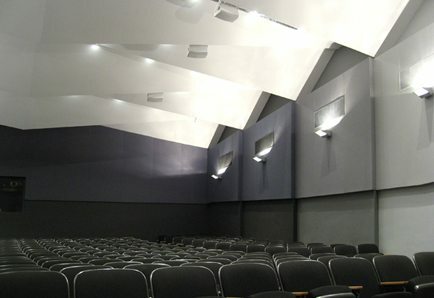 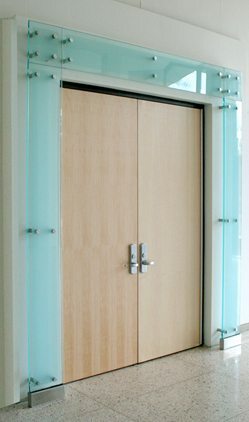 ADA access to the presentation area was incorporated into the floor plan design.